On December 20, 2018, the Ontario Energy Board approved the proposed merger of Veridian Connections Inc. and Whitby Hydro Electric Corporation. It is currently projected that the merger of the two companies will occur early in the second quarter of 2019. The Ontario Energy Board has approved the proposed merger of Veridian Connections Inc. and Whitby Hydro Electric Corporation. You have questions. We have answers. We've answered some of the most frequently asked questions below. Is there something you'd like to know that isn't on this list? We'd like to hear from you. Click here to have your say and ask us a question or share your thought. What are the potential advantages and disadvantages to customers? We believe that significant benefits can be realized for our customers, communities, employees and other stakeholders. A combined company, through its larger size, will allow us to achieve savings for our customers and shareholders through greater efficiencies, innovations, and competitive strength. Our assessments to date show that customers will, on average, experience approximately 3 per cent lower rates than they otherwise would have as customers of Veridian or Whitby Hydro alone. A merger is our best opportunity to mitigate against future rate increases and maintain 100 per cent local ownership by the communities we serve. Will Hydro rates go down because of the savings of the merger? A key objective of this merger is to strengthen our ability to deliver cost-effective, reliable energy services to the communities and the municipalities we serve. Our assessments to date show that, on average, customers of the merged company will experience approximately 3 per cent lower rates than they otherwise would have as customers of Veridian or Whitby Hydro alone. Merging is also our best opportunity to mitigate against future rate increases as we can achieve greater economies of scale, find efficiencies and develop competitive strength in a combined company. What is the timeline for a potential merger? We anticipate merging the two companies early in the second quarter of 2019. What will be the biggest benefit? We expect this merger to result in greater efficiencies overall. We also expect one of the significant benefits to be our ability to effectively mitigate against future potential rate increases on the cost of distribution of electricity. An increased scale of operations will also enable the merged company to expand and improve services for customers. Under which conditions was this merger approved? A merger would only move forward with the direct consent of municipal owners and the regulatory approval of the Ontario Energy Board (OEB). Additionally, our OEB application was subject to a “no harm” test, which ensured the proposed merger would not have an adverse effect on price and quality of service to customers, among other factors. April 1, 2019, Ontario - Veridian Corporation (“Veridian”) and Whitby Hydro Energy Corporation (“Whitby Hydro”) have completed the closing of an agreement to merge the two companies to form Elexicon Corporation. Elexicon Corporation is the single shareholder of two subsidiary corporations - Elexicon Energy Inc. and Elexicon Group Inc.
March 25, 2019, Ontario – Elexicon Energy Inc. (“Elexicon Energy” or the “Company”) is pleased to announce that Lesley Gallinger has been appointed as its President and Chief Executive Officer (“CEO”) effective May 21, 2019. Lesley is currently Chief Strategy and Financial Officer for the Electrical Safety Authority and earlier worked with Oakville Hydro. March 18, 2019, Ontario – Elexicon Group Inc. (“Elexicon Group” or the “Company”) is pleased to announce that James Darrach has been appointed as its Chief Executive Officer (“CEO”) effective April 1, 2019. January 18, 2019, Ontario – A new energy company that will service more than 162,000 residential and business customers in parts of Durham Region and beyond will be known as Elexicon Energy. December 21, 2018, Ontario – In a decision released yesterday, the Ontario Energy Board (“OEB”) approved the proposed merger of Veridian Connections Inc. (“Veridian”) and Whitby Hydro Electric Corporation (“Whitby Hydro”). The new and yet-unnamed, combined energy company will service more than 162,000 residential and business customers, making it the fourth largest municipally-owned electricity distributor in Ontario. 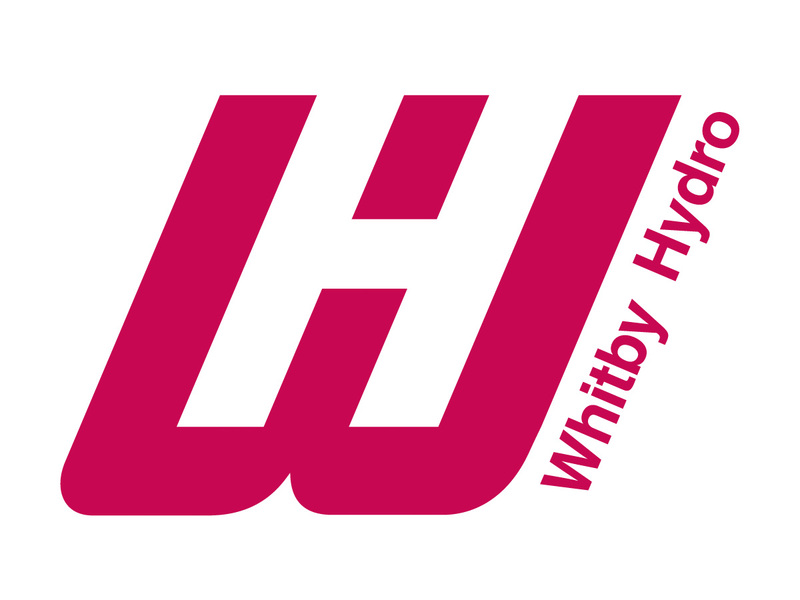 Whitby Hydro and Veridian submitted a Mergers, Acquisitions, Amalgamations and Divestitures (MAAD) application to the Ontario Energy Board (OEB) on July 30, 2018 for regulatory review and approval of the proposed merger of our two utilities. (June 26, 2018, Ontario) – All five municipal shareholders of Veridian Corporation (“Veridian”) and Whitby Hydro Energy Corporation (“Whitby Hydro”) have approved a proposed merger of the two companies to create a new yet-unnamed energy corporation. The two municipal electricity utilities and the municipal shareholders are now positioned to execute a merger agreement, following which the transaction will be submitted to the Ontario Energy Board (“OEB”) for regulatory approval. (April 3, 2018, Ontario) – Veridian Corporation (“Veridian”) and Whitby Hydro Energy Corporation (“Whitby Hydro”) are proceeding to seek shareholder approvals of a proposed merger of the two companies. The potential merger partners released public documentation today in advance of upcoming municipal council presentations. (January 16, 2018, Ontario) – The Boards of Directors of municipal electricity utilities Veridian Corporation (“Veridian”) and Whitby Hydro Energy Corporation (“Whitby Hydro”) are recommending shareholders approve the merger of the two companies to create a new yet-unnamed energy corporation. DURHAM REGION, ONTARIO--(Marketwired - July 18, 2017) - Veridian Corporation ("Veridian") and Whitby Hydro Energy Corporation ("Whitby Hydro") are pleased to announce that the entities have reached the first milestone in merger evaluations with the signing of a Memorandum of Understanding ("MOU") on July 17th, 2017. What are your thoughts about the potential merger? Thank you for your comment/question. We are reviewing your question and will update the FAQ section of our website shortly. We'll do our best to reply to you directly in a timely manner. Enter your email address in the form below to sign up for alerts when this website gets updated with new information.